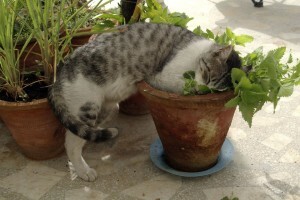 Catnip is nothing less than an elixir for most felines. For cat-parents new to this term, catnip is a weedy plant of the mint family that originated in Europe and Asia. This potent herb has a dreamlike effect on cats big and small. This plant’s leaves, roots and seeds are infused with an oil that contains a chemical called nepetalactone. 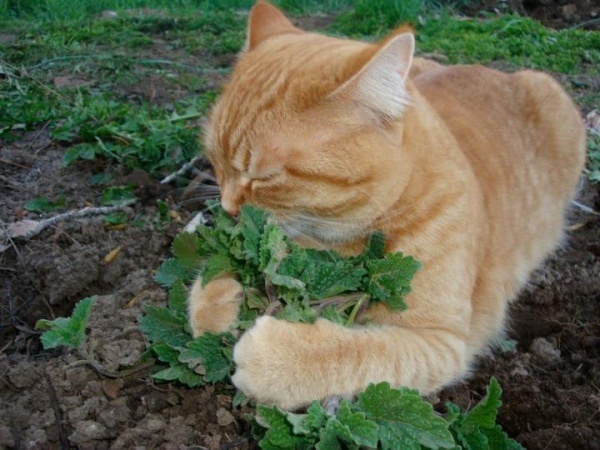 Catnip is safe for your kitty whether it sniffs or chews on it. However what transpires in each case is a different scenario for the feline. If this herb is introduced as something the cat can smell, it will instantaneously turn your pet into a happy and lively critter. 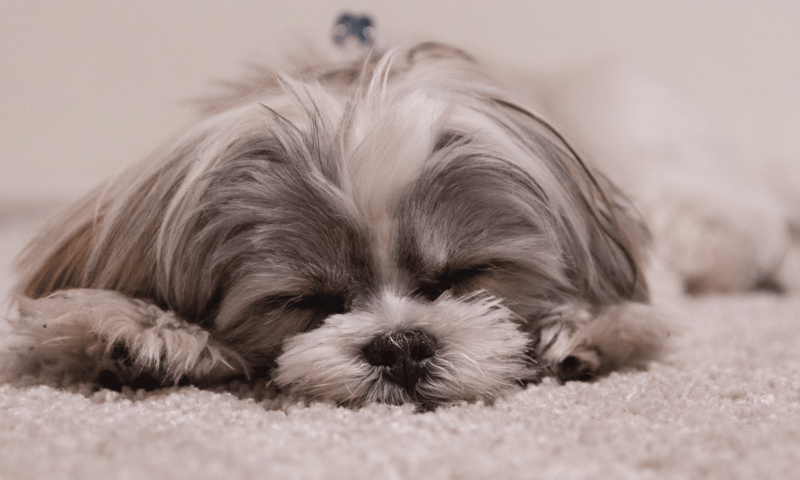 The powerful chemical can turn your lazybones into all springy and agile. In case the kitty is allowed to chew on it, the response is a contrasting personality to the one described above. Catnip is also known as Catmint, most cats becomes calmer upon ingesting the herb. 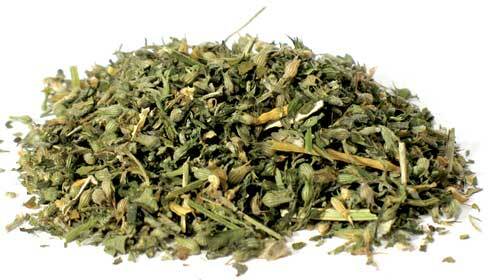 Is Catnip Spray as effective as dried herb? Catnip sprays are available in pet stores, however offering this herb in dried or fresh form is more appealing to a feline. Cat nip sprays are less effective since they do not contain enough of the appealing chemical, nepetalactone. 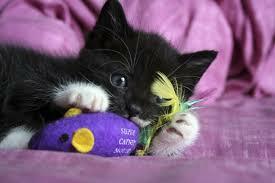 Try Catnip infused Cat Toys instead although it may make some cats act aggressively in a feisty form of playfulness. Its effects can last from between 10 to 20 minutes. Once the euphoria fades, it will take minimum two hours before the mouser reacts to the herb again. It is non-toxic and can be used frequently, however offering in excess can cause diarrhea in the kitty. Catnip can act as a training tool and also a reward for your kitty. Does your cat ditch its scratching board and go for your furniture instead? Simply rub some catnip on your cat’s scratching post to make it a sought after item. This will save your furniture from being full of scratches & wrecked. Catnip toys are the perfect way to reward your fur-ball. 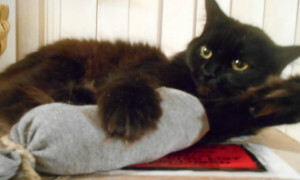 You can purchase some from a pet store or create homemade playthings filled with catnip to surprise your purring angel. Pick an old sock of yours, fill it with some of this magical herb and tie a tight knot on the top to close the open end. This is what dried leaves of Catnip looks like.To make a simple cat toy at home, take an empty paper bag put a small amount of catnip in it and crumple the bag into a tight paper ball. Not all cats will respond to this herb. A cat’s genetic properties will determine whether it will show sensitivity to catnip or not. You will have to wait till your kitty reaches between three to six months of age to know if it is affected by the catnip. It has been seen that one in two cats will inherit the desired sensitivity to this herb. How to store catnip in your home? To ensure the freshness of this charming herb you will have to put the unused portion in a zip-lock bag and store this in the refrigerator till you use it again on your kitty. This all times kitty favorite plant can be grown indoors on a windowsill if exposed to ample sunlight of about 5 hours a day. The plant requires regular watering and a fast-draining potting soil to support it. To encourage its leaves to grow properly, the flowers will have to be compressed.